The sailboat is a common and familiar scene at most beaches. 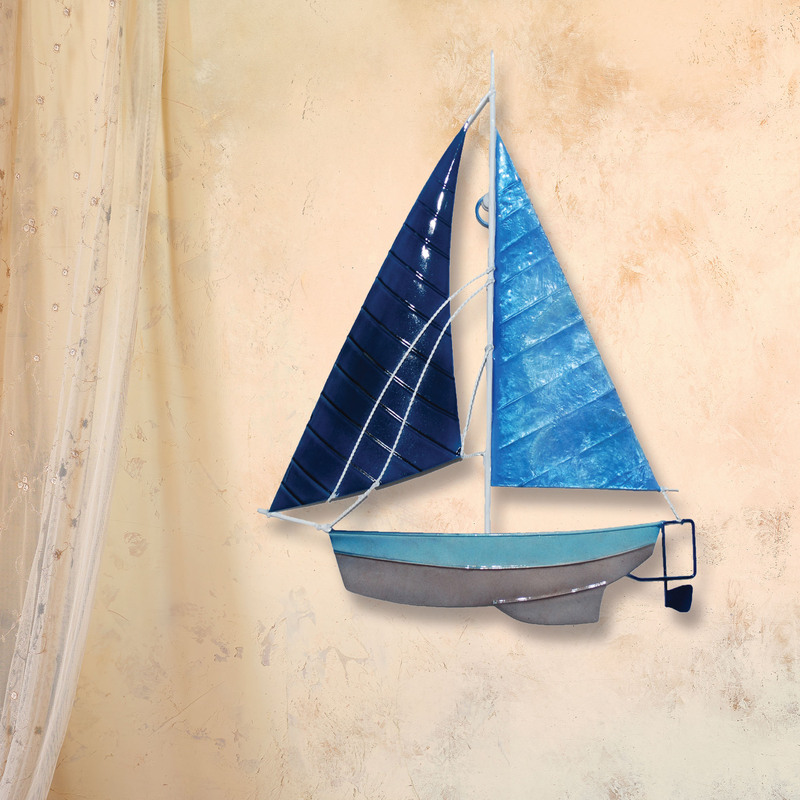 Blue and Gray Sailboat Wall Decor brings home the well-known features of this iconic boat. The spinnaker is fully inflated and pops away from the wall with the rope tangling on the side. The headsail, usually the more colorful, is adorned with capiz shell which gives it a shine as it reflects the sunlight. 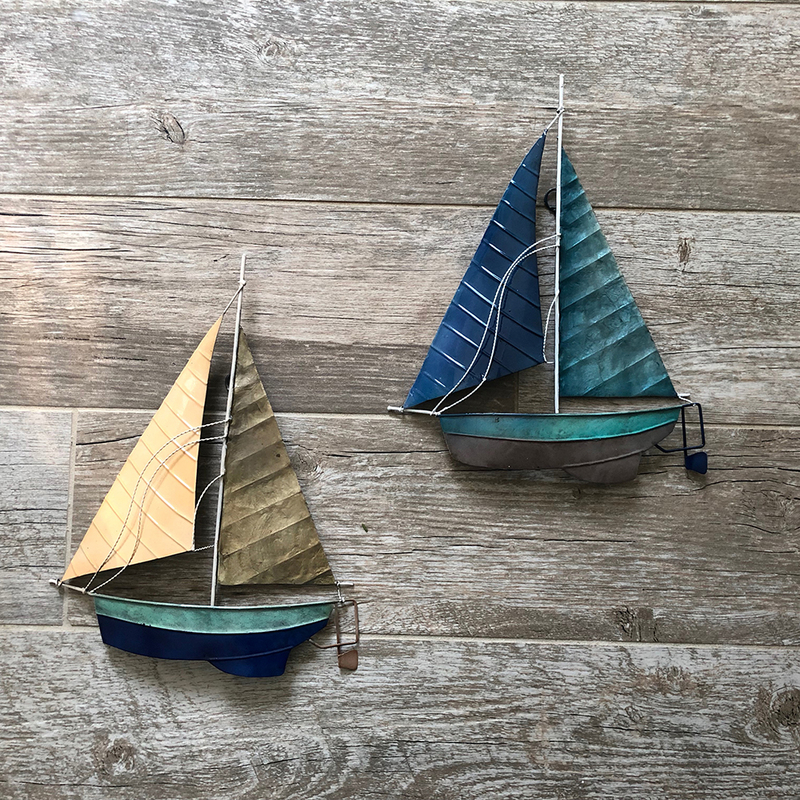 The artist enhances the authenticity of the hull by painting it with a distressed finish, showing a well loved and traveled vessel. 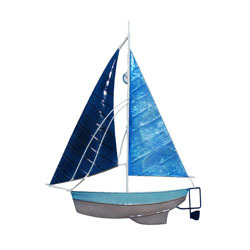 The basic frame of the wall sailboat is created using wrought iron, which is powder coated in a black finish. The frame is reinforced using wrought iron wire inner edge or outer edge. Capiz is an oyster shell and the primary purpose of the oyster is as a source of food. However, the by-product, the shell, can be used for decoration. Due to it being a natural material, the natural colors of the capiz can come through as tans and browns underneath the paint. 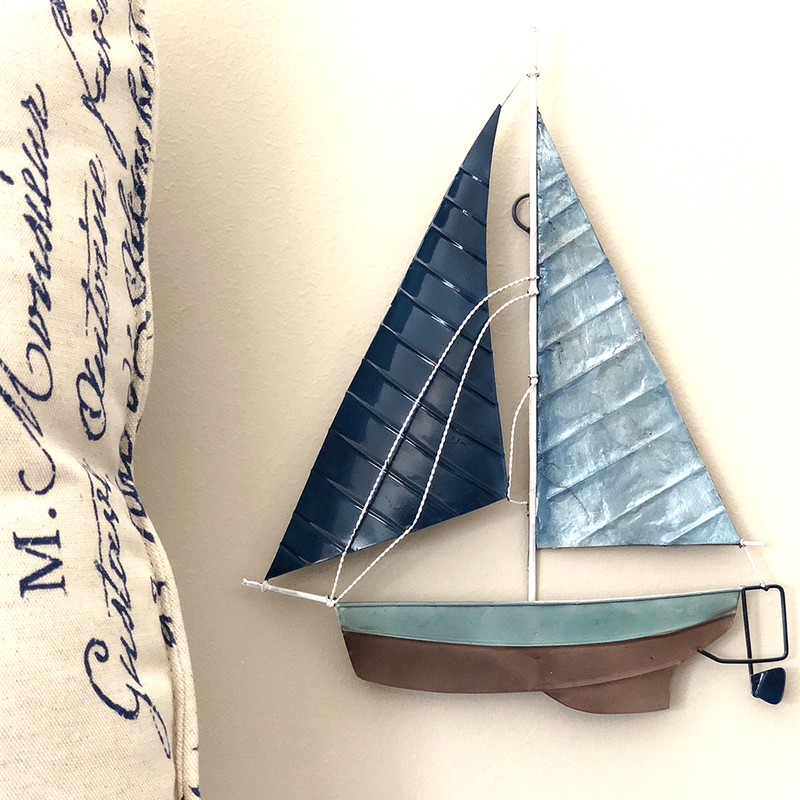 The final step is to hand-paint the sailboat, giving this piece a rustic finish and feel.